One Planet One Ocean is the fifth team to announce its participation in the Barcelona World Race 2014/15. This round the world race is an important personal and professional challenge for Aleix Gelabert and Didac Costa, who are both experts in the Mini Class. The boat is the former Kingfisher, Educacion Sin Fronteras and Fòrum Maritim Català. It is currently being remodeled at the Fundació Navegació Oceànica Barcelona (FNOB) Base and is scheduled for launch at the end of June. 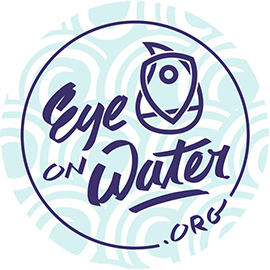 The boat and crew, as unique witnesses of the impacts of global change on the ocean, will serve as a platform for environmental awareness, thus contributing to one of the objectives of the collaboration between FNOB and the Intergovernmental Oceanographic Commission of UNESCO (IOC–UNESCO) whose motto is “One Planet, One Ocean”. 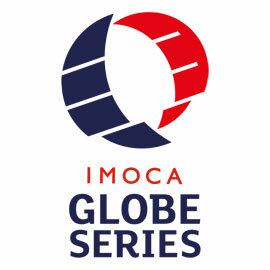 Blanes's (Girona) Aleix Gelabert and Barcelona's Didac Costa constitute the fifth 2-person team to officialise their participation in the third edition of the Barcelona World Race. They will sail on the boat One Planet One Ocean. Their collaboration and teamwork go beyond the ocean sport adventure, extending to facilitating data collection around the world for oceanographic research. The ocean is a place of work and play for the skippers. As such, the sailing community has a unique relationship with the ocean, while also being in a position to observe the impacts of global change first-hand. Through the collaboration between FNOB and IOC-UNESCO, the One Planet One Ocean team can share their passion and their concerns by raising awareness of ocean-related issues. This is a key objective of the partnership between FNOB and IOC–UNESCO, which was launched in 2013. Both institutions are also working together to organize the 2nd International Ocean Research Conference (IORC), to take place in November 2014 in Barcelona. Aleix Gelabert and Didac Costa are a good example of the evolution of ocean sailors who begin their career in the very competitive Mini Class. Following in the footsteps of Bruno Garcia, Anna Corbella and Gerard Marín, and with the support of their sponsor GAES’ "Follow your dreams" programme and the FNOB, Aleix and Didac make the leap to the IMOCA class from the Mini Class, where they had worked tirelessly. They represent the fruitful development of ocean sailors, working their way up the competitive pyramid to join the ranks of the skippers in the ocean's 'Formula One' class. They bring youth, expertise and enthusiasm to the Barcelona World Race. Participating in this adventure is the fulfillment of a dream for both of them. Aleix Gelabert was born in Blanes (Girona) 36 years ago. An architect by profession, the Barcelona World Race is a giant step for him, after a successful Mini Transat in 2011, which was his first major test. Widely respected in the world of technical preparation of racing boats, Aleix became very familiar with the IMOCA class as part of the shore crew for FNOB boats such asGAES Centros Auditivos which took part in the Tour of Spain in 2010 with Anna Corbella and Dee Caffari, and Synerciel (ex -Renault ZE ) which he sailed for the preparation passage between Barcelona and Lorient alongside Jean Le Cam and Bruno Garcia, just ahead of the French sailor's participation in the Vendée Globe. He also has two Copa del Rey wins in cruiser competition under his belt. Additionally, he was on Spain's pre-Olympic Sailing squad for the Athens Games in 2004. 33 years old and from Barcelona, Didac Costa is a fireman by profession and there's no doubt that the essential qualities developed in this difficult and highly technical profession have proven an important asset in his oceanic career. They will surely play a big rôle on One Planet One Ocean. Didac is another young sailor who has risen up through the ranks of the Mini Class. He has focused his career primarily on solo and two-crew sailing. In the 2011 edition of the Mini Transat 6.50 he was the first Spaniard to finish in the Series boats category. He has won races such as the Sanremo Mini SOLO and the Ophiusa Regatta. He came third in the double-handed Italian Grand Prix in 2013 alongside Bruno Garcia. The team will sail aboard the former Kingfisher, the boat with which Ellen MacArthur broke the Atlantic record by sailing from Plymouth to Newport in 2000, clinching second place in the Vendée Globe 2000 / 01 and first place in the Route du Rhum 2002. The boat then became Educación Sin Fronteras whith Albert Bargués and Servane Escoffier, for their first non-stop round the world race in the Barcelona World Race 2007/ 08. For the second edition of the round the world race, Gerard Marin and Ludovic Aglaor sailed the boat as Fòrum Maritim Catala, finishing in eighth place. One Planet One Oceanis certainly one of the most experienced IMOCA 60s with one of the highest mileages and circumnavigations. It is a robust and efficient boat designed by the Owen-Clarke Design studio and built in 2000 in New Zealand. The boat is undergoing a major overhaul at the FNOB sailing base where it is being subjected to various tests on the keel and appendages, a review of the entire steering and handling systems and developments of the onboard electronics. The boat launch is scheduled for late June. The One Planet One Ocean is one of the spearheads of the scientific perspective of the Barcelona World Race, and strengthens the race contribution to oceanography and the environment. 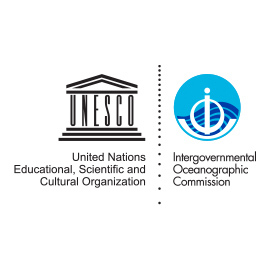 "One Planet One Ocean" is the motto of the Intergovernmental Oceanographic Commission of UNESCO, organizer – together with the Oceanography Society and the FNOB – of the 2nd International Ocean Research Conference (IORC). This 2nd International Ocean Research Conference (IORC) will take place in Barcelona on 17-21 November 2014, almost 10 years after the inaugural IORC. 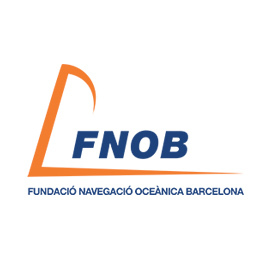 The conference is organized in close collaboration with the FNOB and also defines the appeal of the Barcelona World Race 2014/15 in terms of sustainability and ecology. It is an opportunity for the scientific community to come together to plan the coming decade of international collaboration in marine science and technology, with a view to improving ocean governance. It is the framework for the scientific and environmental ethos of the Barcelona World Race. The data gathered on One Planet One Ocean will contribute to global scientific efforts coordinated by IOC-UNESCO and will constitute a fundamental part of the educational aspect of the Barcelona World Race. Former names: Kingfisher, Educación Sin Fronteras, Fòrum Marítim Català. (1) The project for this edition of the regatta to measure salinity levels and seawater temperature started during the previous edition of the race with the boat Fòrum Marítim Català and is headed up by Jordi Salat, Oceanographer with the Sea Sciences Institute (ICM) in Barcelona and the Spanish National Research Council (CSIC). 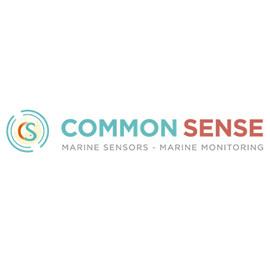 The mission of the project is to collect invaluable data on salinity and temperature levels for surface seawater in areas at a distance from common shipping routes and for which data is scarce. (2) The boats taking part in the regatta will release Argo floats at different locations in the Southern Indian Ocean, between the Cape of Good Hope and the Kerguelen Islands. The float is 1.70 m high and weighs 22 kg and will be used to collect highly accurate temperature and salinity data from depths of 2,000 m up to the sea's surface. This data is crucial for oceanographers studying the behavior of vast areas of seawater, which is key in the bid to understand the evolution of the planet's climate. Argo floats are battery-powered autonomous floats which spend most of their lives drifting in the ocean. When they are launched into the water they behave akin to mini-submarines and spend some ten hours floating until they automatically submerge to a depth of 1,000 m where they remain for some 8-10 days, pulled along by sea currents. They then descend to a depth of 2,000 m before commencing their progressive ascent back up to the sea surface. The float's ascent takes some six hours, during which its sensors collect salinity and temperature data. When it emerges, that data is transmitted by satellite before the float submerges itself once more to repeat its cycle. Each float can repeat the cycle for approximately ten days, some 150 times. This project has been launched thanks to the direct collaboration between the FNOB and the UNESCO IOC. (3) The boat will be equipped with a device to detect the level of microplastics in the seawater. These harmful particles affect the biological cycles of many species that ingest them and require specialist detectors in order to be located. The devices are made up of a system of filters and test tubes that collect and measure the particles and later send out the data via satellite. Headed up by chemical engineer Salvador Borros from the Sarrià chemistry institute (IQS) in Spain, this project will also be very important in raising environmental awareness, a major objective in the educational program of the Barcelona World Race. (4) The Citclops (Citizen’s Observatory for Coast and Ocean Optical Monitoring) project was set up to retrieve and use data on seawater color, transparency and fluorescence to determine its quality and above all the effect on plankton. Cameras on boardOne Planet One Ocean will also send data for areas where data has so far been scarce.The project is headed up by engineer and biologist Jaume Piera from the ICM, the Fundació Barcelona Digital Centre Tecnològic (FBCT) and the Citclops / European Commission 7th Framework Program.